This fall marks 150 years since the first three icons of Our Mother of Perpetual Help came to the United States. One of those early icons–the first to be publicly venerated–is enthroned at Sacred Heart of Jesus Church in Baltimore. We’ll observe this 150th anniversary on Saturday, November 3, and we invite you to take part. At 4 p.m. that day the Redemptorists will celebrate Mass to commemorate the historic occasion, followed by a reception. 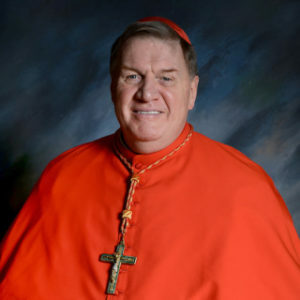 Main celebrant for the Mass will be Cardinal Joseph Tobin, C.Ss.R., the archbishop of Newark, N.J.
Click to read a history of this icon in the United States.